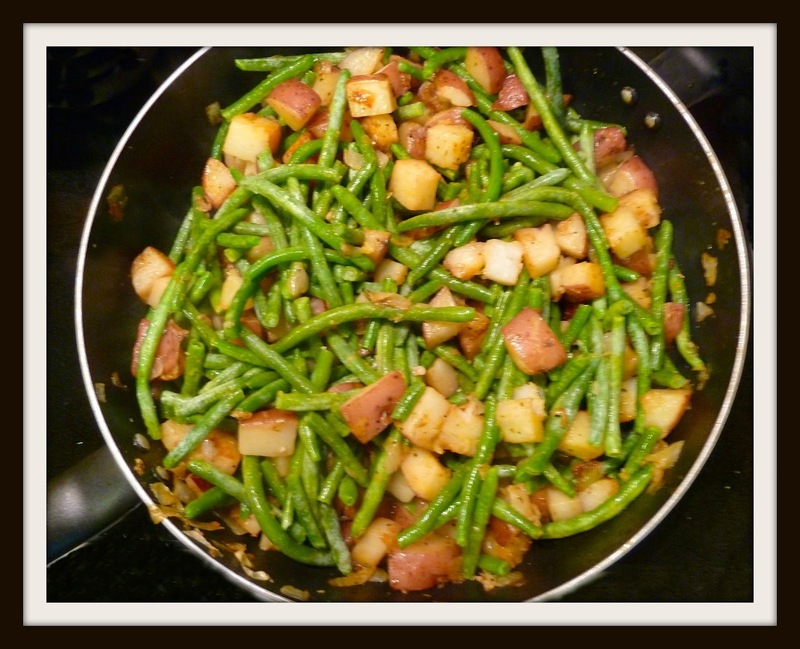 Dinner is easy when you have a side dish that does double duty like this recipe for skillet potatoes and green beans. It’s two side dishes in one. It’s pairs nicely with London broil or baked chicken. It’s complete in just a skillet and serves four. Add a salad and you have a full dinner--easy! 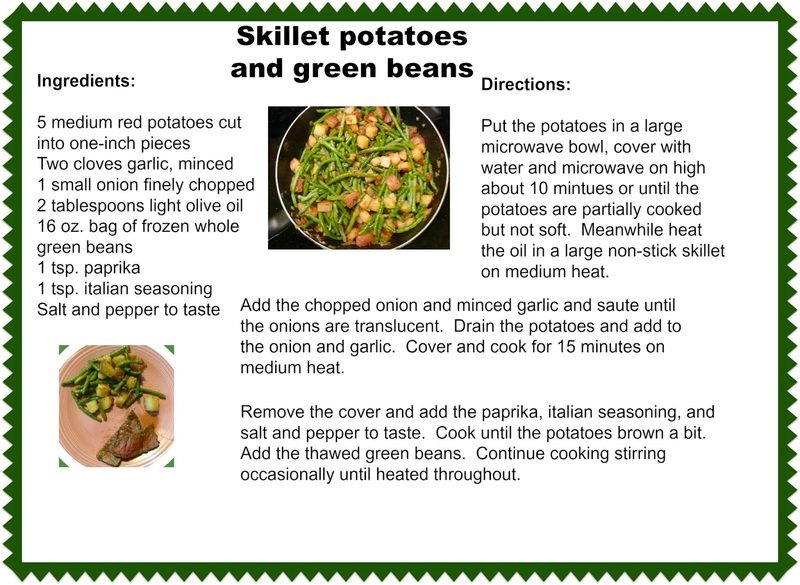 For the free printable recipe card, click on the photo and print on your home printer at 4 x 6 or 5 x 7 size. Be sure to visit Bowdabra blog and Make it easy crafts each thursday for more Dinner easy recipes.